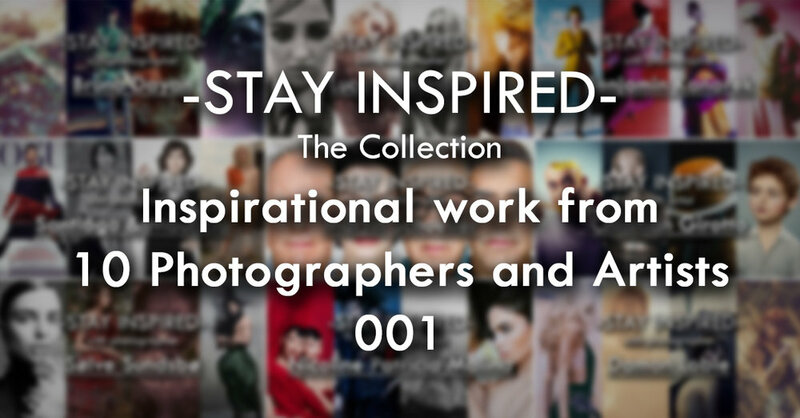 "Stay Inspired" is a weekly post where I share the work of an inspirational photographer or artist every Thursday on my Facebook Page. I've been doing this every week since 2013 so there is now a vast number of outstanding creatives from all genres and disciplines that we've looked at over the years and it would be a shame to not try and collate them all in one place for not only myself but for you as well. These new posts will look at a collection of 10 artists each and they should prove to be an excellent resource for not only inspiration but motivation as well. With each artist shared, I will include a short overview of their work including things to consider and look at whilst on their portfolio. Please bear in mind that these will be very subjective opinions and mine alone so please take from them what you will. I believe a more personal point of view of another artists work may be of more value to you over simply stating their name and age for example but this does mean you may not always agree with me and I would encourage that. Art is subjective and I like music, the best art does not appeal to everybody. I'll start this off by sharing the site of Benjamin Kanarek. By all means check out some of his recent work for Vogue and Harper's Bazaar but the link that I'm providing here actually takes you to his archives. In here you will find some of his incredibly vibrant colour works he was producing in the 80's and 90's. Check out some of the projects like, 'L'OFFICIEL Paris', 'VOTRE BEAUTE' and 'VOGUE Italia' to see what I mean. For those of us who were shooting film, phrases like 'cross-processing' and 'pushed and pulled exposures' rouse mixed emotions, as much fear of pushing the technique too far as there was excitement of how it might turn out. It certainly appears that Mr Kanarek had mastered some of these lost arts enough to gamble on them for the front cover of Vogue. I absolutely love this work, go check it out. 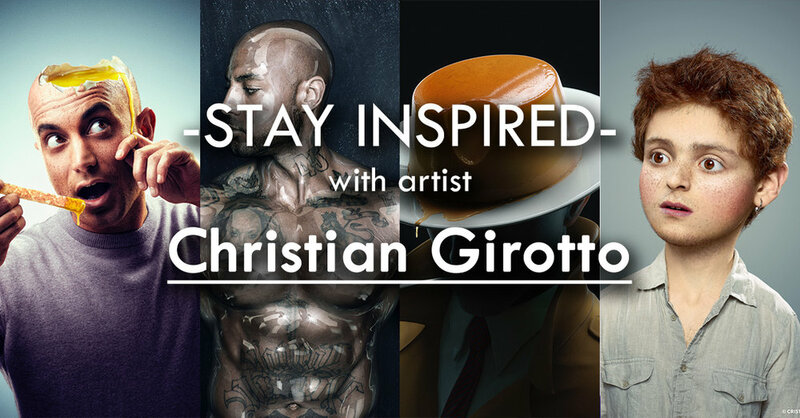 Next up we just have some insanely good artistic skills from Christian Girotto. I'm tempted to think this guy is using a different version of Photoshop than me; that's my excuse and I'm sticking to it! Check out the albums 'Vanessa Cruz' along with 'In the Edge' and start making your excuses. Pay close attention to how significant a creative style can be with post-pro alone. A personal style is not unique to the photography and investing time in a personalised post production look can be just as important. Nicoline Patricia Malina is an Indonesian photographer that seems just as happy shooting the vivid Asian colours of Hello Kitty and friends as she does shooting Europe's cinematic black and whites. Another photographer that is seemingly unburdened by her own style. Check her out. This guys work is phenomenal. I've been a huge fan of his style and aesthetic for more than a decade now and I would put Dayan's work up there as one of my core inspirations when I was starting out with synthesised colour in my imagery all those years ago. I absolutely adore his use of soft colours and storytelling with subjects and environments and although I'm not personally a huge fan of the 'dead-doll' posing aesthetic that permeates so much of his work, I think it works incredibly well within his environments and lighting. Stop reading this nonsense and get over there! L.A based Damon Loble has a very distinct style and although the content of his images may not be to everybody's liking, his method certainly holds some weight in my mind. For the photographic reverse-engineers among us, it's worth bearing in mind that these images are current, have very little post and shot with his Hasselblad digital back. I find it hard to believe that the timeless feel to his images are all generated 'in-camera' with that digital Hasselblad but none the less exceptional work. Take from that extra info on the capture device for what it is, but I do find it interesting given the look and style of his work. Regardless of the process though, the bottom line is that this work is fantastic. -Be warned this site loads everything at once and is VERY SLOW TO LOAD!- Be patient. Here there are row after row of great shots highlighting his best work with some great lighting and gorgeous colour grading. Go and say hi! 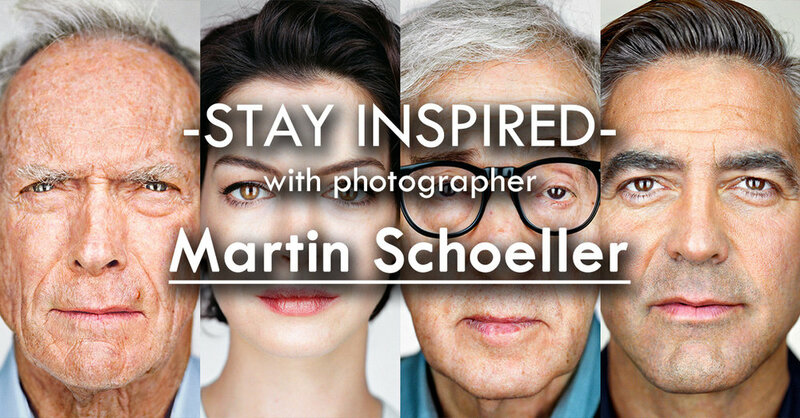 I wanted to show you NY based photographer Martin Schoeller and his famous series called 'Close up'. Martin has photographed the biggest of the big names in this series but what draws me into the shots is his photography techniques. No posing no fancy styling just bold crops and impeccable lighting. What's also worth noting is the shaping and structure these portraits have by the actual absence of light around the edges. I love it. The link here takes you straight to the project but while you're there check his 'Twins' series shot in the same style, very freaky though. Norwegian born but currently London UK based, Sølve Sundsbø has a fantastically clean style and has shot for all the major campaigns including Chanel, Cartier, Dolce & Gabbana, plus the the Alexander McQueen retrospective in New York. I'd be surprised if you hadn't perviously seen at least one of his images before and considering his breadth of skill base, he's not afraid to push all manner of techniques like shutter drags, gels and even underwater shoots. Head on over and check out his work. I'd be interested to hear what you guys think of his work though. Not only a great guy but also phenomenal photographer so I'd just like to highlight one of my followers amazing work on here. I've been a big fan of Glenn Norwood's photography for a while, especially his fantastic use of colour and the guy has won one more prestigious photographic awards in his career than I can count and definitely knows what he's talking about. There's little I can say that will do his work justice so just head over and check it out. His site is under construction at the moment so check out his Instagram in the meantime. 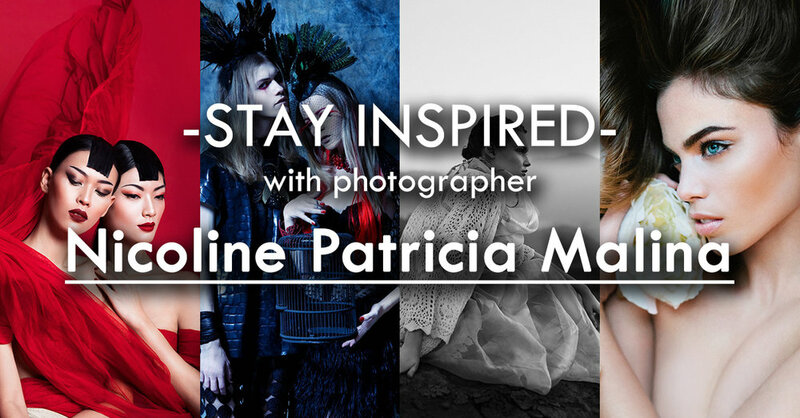 Some fascinating inspiration with these sibling photographers as we look at the more unique style of Santiago & Mauricio. Santiago & Mauricio are two brothers from Mexico city currently working out of New York and they seem to specialise in the blending of stills and motion with every campaign they produce. Their site includes a lot of video over stills and their style certainly has more of a rougher edge over the more mainstream fashion looks we might be more accustomed with. I wouldn't say they were anti 'normal' but their look and character portrayal certainly explores the more irregular body shape and gender stereotypes. They allow their characters to do most of the work in their shots and a strong connection with camera to subject and a photographic technique that takes second place behind the model makes for some powerful imagery. Very refreshing work and although not my personal preference and I have a lot of admiration for what they're achieving with their subject here. I'd love to hear what you think though. As with all of my posts, I always welcome your comments and thoughts on the artists I've shared here and although all of the photographers and creatives I've mentioned come from my own personal tastes and appreciations, I still feel they are all incredibly varied which ultimately means there will be at least one persons work here that you'll love. Sure, we've really only looked at 'people' photographers here including, portraits, fashion and editorial shooters with none of the other photographic genres being covered but it's still incredible to me as to just how varied this single discipline can be. I think one of the core things I want you to take away from this series is how another person interprets their subject into a photograph. Sure you can simply reverse engineer the lighting or copy a pose of an image but I hope you take away a lot more than simply the mechanics of a photograph.